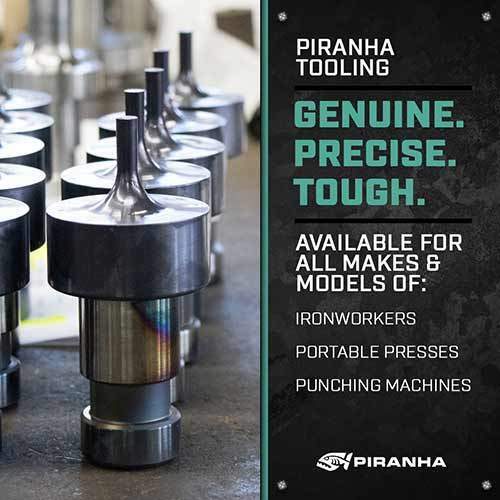 As an Authorized Piranha Dealer, we are proud to represent the quality Piranha products listed below. Single to dual operator models available from 50 to 140 tons. 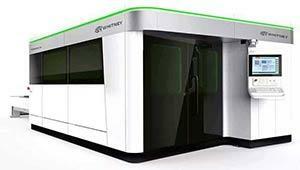 Piranha fiber LASER machines range from 1kW up to 12kW. 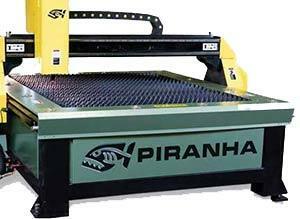 Piranha LASER L510 Fiber LASER cutting machines are built with reliability and economy in mind. These tough machines use proven technology to ensure precision and reliability throughout their service life. This special combination of durability and cost efficiency provides maximum value for steel processors. 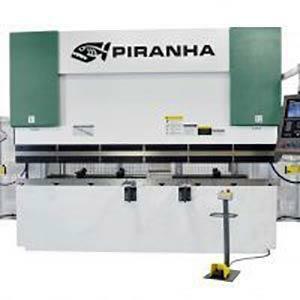 With a comprehensive line of thermal metal cutting equipment for the metal plate fabrication market, Piranha is a recognized leader in fiber LASER technology. One Machine, One Setup, Eight Processes - Cut, Punch, Countersink, Emboss, Drill, Mill, Tap, and Form. 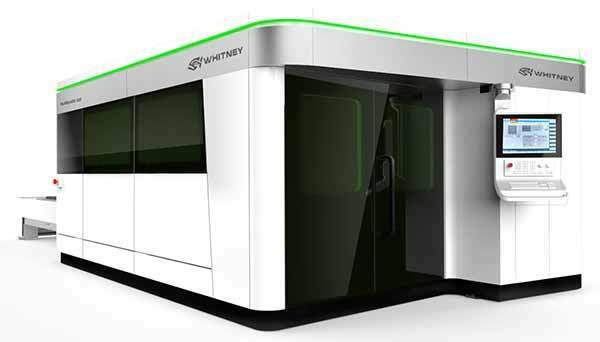 Even as laser technology advances to cut thicker parts faster, the Piranha-Whitney combination consistently beats lasers, plasma machines, and water jet machines when it comes to ROI. Our Punch Plasma Combination will put more parts on the floor at the end of the day in steel, stainless steel, and aluminum, than any other process. We offer plasma tables in sizes 4x4, 4x8, and 5x10. 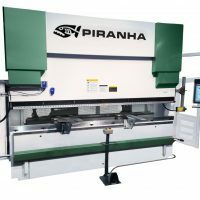 Piranha C-Series plasma tables provide a reliable quality plasma cutting solution at a low investment level, making Piranha quality and durability attainable for a broader range of shops. 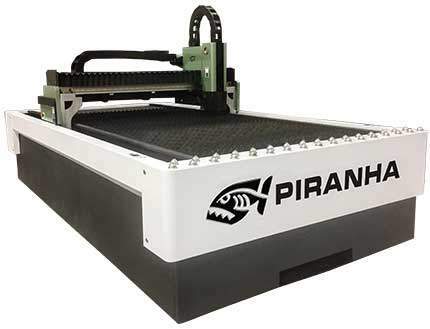 Piranha HD Plasma tables provide near LASER cut quality for a significantly lower investment than fiber LASER cutting. That makes Piranha HD plasma tables an excellent value for precision cutting, at a cost lower than competing plasma cutters. We offer plasma tables in sizes 4x4, 4x8, and 5x10 with a wide range of available plasma cutters from a 45 Amp Hypertherm PowerMAX all the way up to the 300 Amp Hypertherm XPR300. 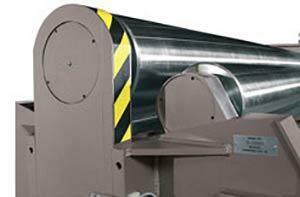 Piranha-Bertsch bending rolls are designed to accurately form metal from gauge to heavy plate. Press brake models from 40 to 3,000 tons. 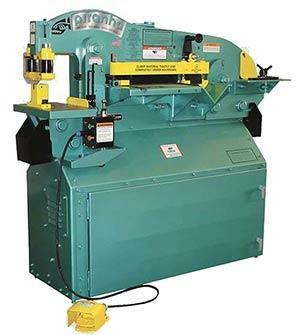 Select the desired tonnage range to compare press brake specifications. 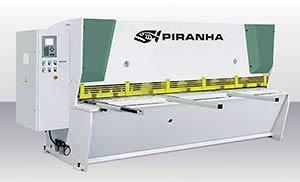 Piranha guillotine shears are available from 1/4" to 1" plate.